Jussi Linnanmäki (1990) is a Finnish bass-baritone. Linnanmäki has studied trumpet with Sakari Suoninen, and singing with Raimo Niemikorpi at the Oulu Conservatoire and choral conducting with Seppo Murto and Kari Turunen at the Orivesi College of Arts. 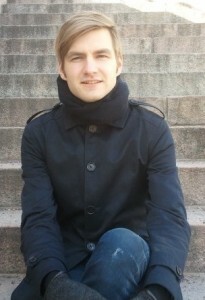 He is now finishing his secondary education studies at Oulu Conservatoire. Linnanmäki has performed as a musician in many orchestras and choirs in Finland. He has been the conductor of male voice choir Mieskuoro Weljet since 2008.